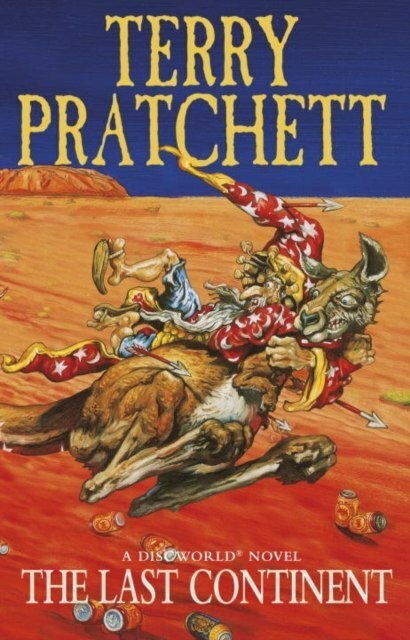 IT'S THE DISCWORLD'S LAST CONTINENT AND IT'S GOING TO DIE IN A FEW DAYS, EXCEPT... Who is this hero striding across the red desert? Sheep shearer, beer drinker, bush ranger, and someone who'll even eat a Meat Pie Floater when he's sober. A man in a hat whose luggage follows him on little legs. Yes, it's Rincewind, the inept wizard who can't even spell wizard. He's the only hero left. Still...no worries, eh?